AVID joined Watsi on October 28th, 2018. 4 other people also joined Watsi on that day! AVID's most recent donation supported Pheaktra, a boy from Cambodia, to fund burn repair surgery. AVID has funded healthcare for 2 patients in 2 countries. Makanga is a farmer from Uganda. He is married and a father of 13 children. For three years, Makanga has had a right inguinal hernia. The hernia causes him pain and is increasing in size. This is affecting his ability to work on the farm. 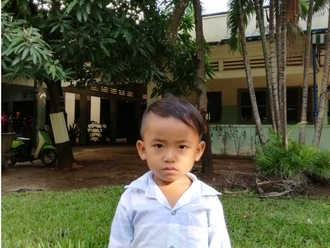 Fortunately, on August 8, he will undergo hernia repair surgery at our medical partner's care center. Our medical partner, African Mission Healthcare Foundation, is requesting $249 to fund Makanga's surgery. Once completed, this procedure will hopefully allow him to live more comfortably and confidently. He says, "After surgery I will be able to resume working in my farm with my wife."